Hey guys! 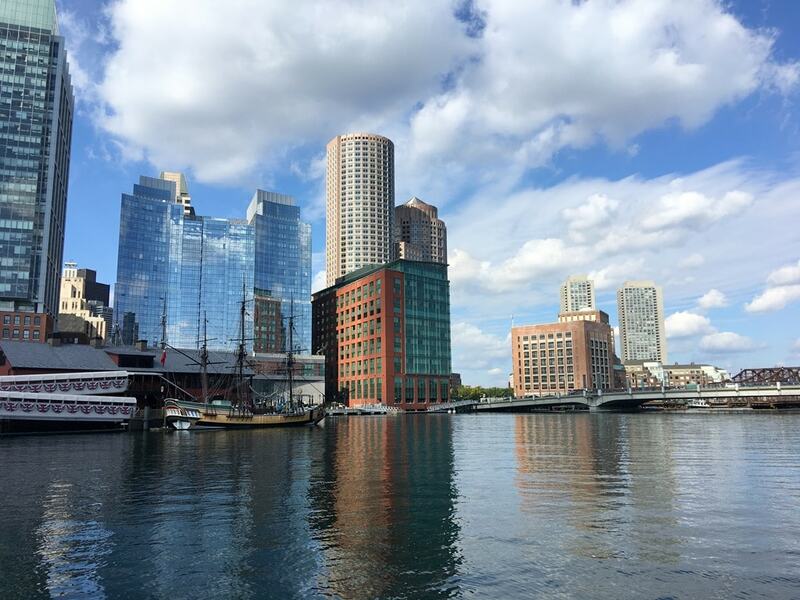 I’m back to share my recap from FNCE, the huge annual conference for Registered Dietitians around the country. As in previous years, I attended the event as press, which meant I received free registration for the conference in exchange for writing about it. 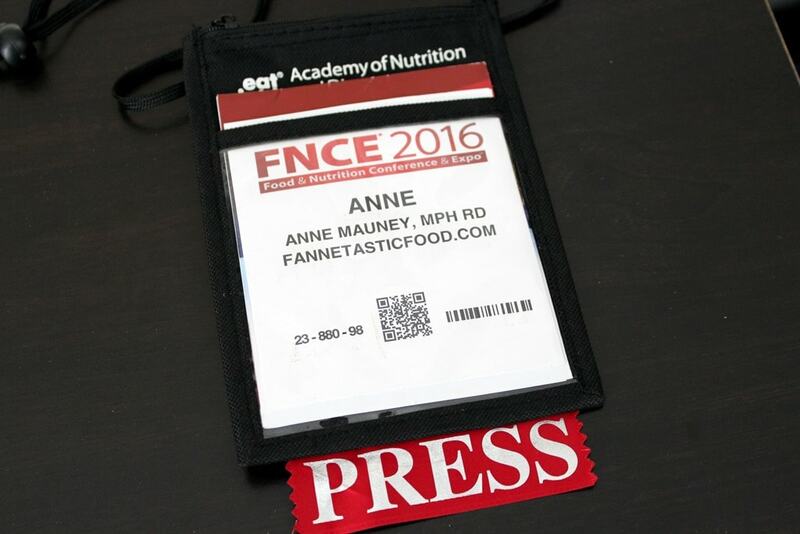 If you also have a blog or are a journalist and would like to attend FNCE as press in the future, here are the details! I paid for my flights/meals/accommodations on my own. 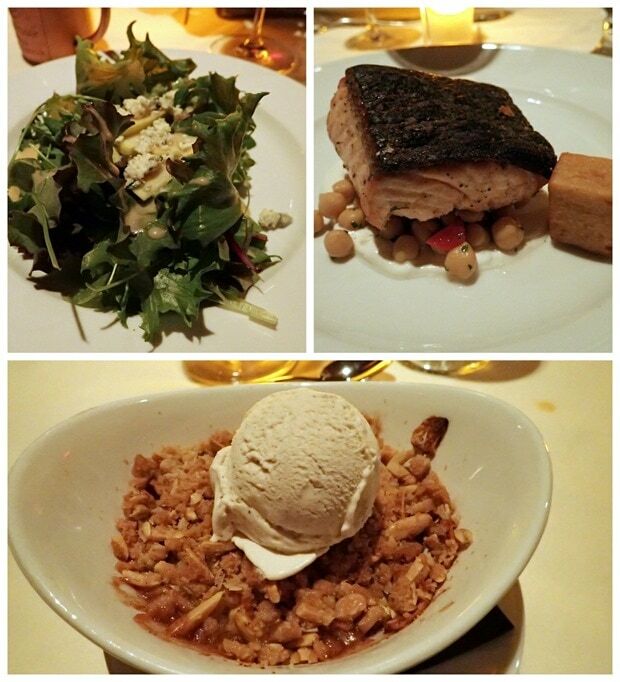 We all shared some appetizers (calamari and deviled crab toast) and then I had the salmon with beets and farro for my entrée. Delicious! On Saturday the conference madness began! I usually go to FNCE mostly for the networking events put on by PR firms and brands; they host dinners and cocktail receptions throughout the weekend for media/blogger dietitians like myself. This year my agenda was so jam packed with those events and meetings that I didn’t make it to any of the educational sessions. Bummer! There are a couple I am planning to read up on online after the fact since I wasn’t able to be there in person; I really wanted to go to the “Hidden Faces of Eating Disorders” talk and the “Orthorexia” talk but unfortunately I flew out on Monday afternoon and missed both of them. Anyway – after some meetings during the day, on Saturday night, the first event on my agenda was a reception with Unilever recognizing their new 2016 Registered Dietitian Agents of Change! As you guys know, I’m proud to be recognized as one of their Agents of Change this year. 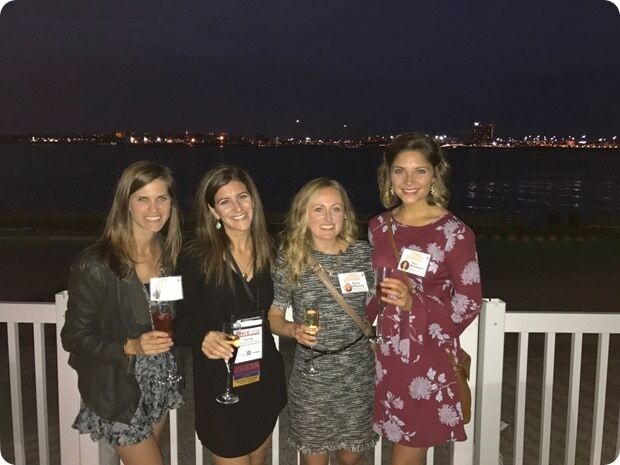 This is the second year of the program, which recognizes dietitians that are making positive changes in the nutrition field, and like last year they highlighted their Agents of Change with a beautiful magazine handed out at FNCE. 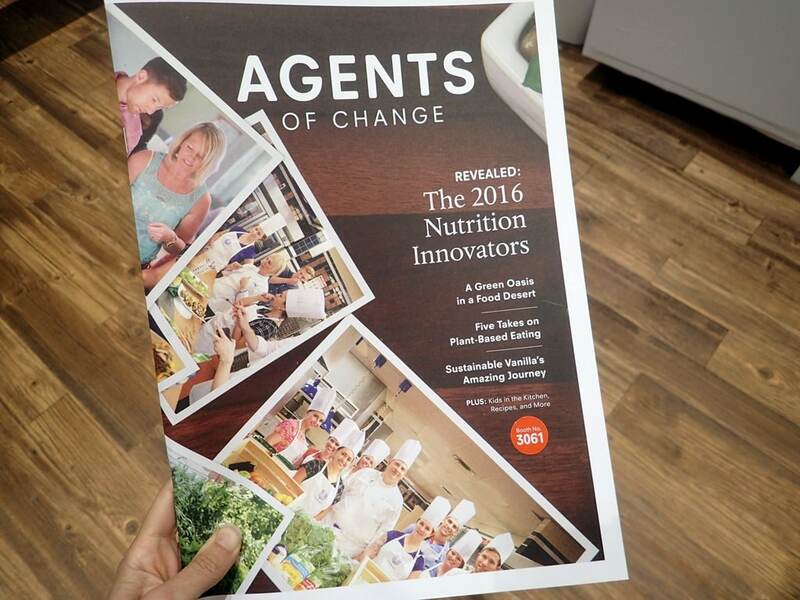 It includes profiles of all 11 Agents of Change for 2016! Here’s my profile. 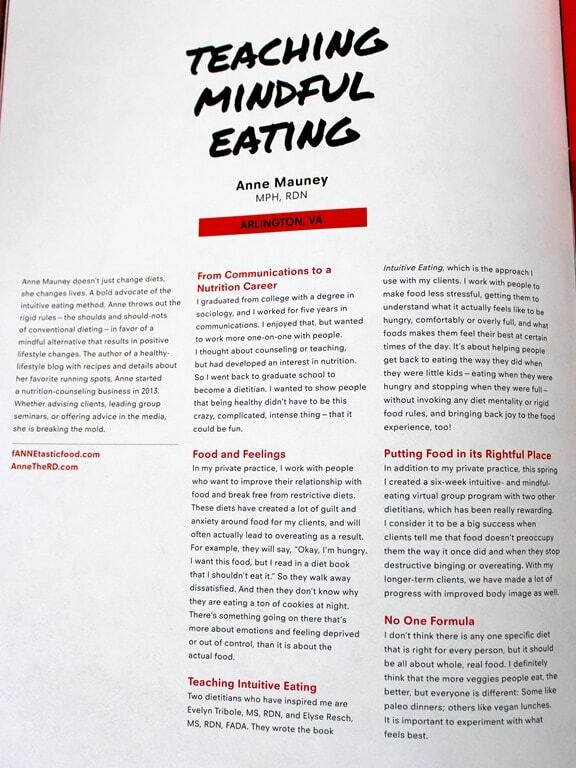 :) I’m really happy with how the write up came out! It was great to meet everyone at the reception (it included both new and alumni Agents of Change, plus their guests), and I loved the Lipton cocktail they served, too! 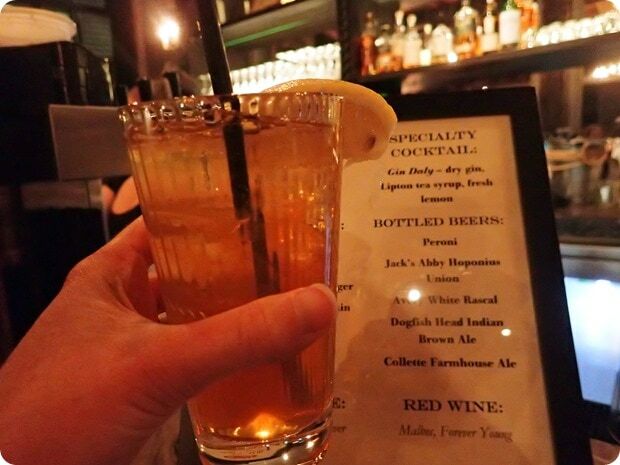 It was gin + Lipton tea syrup + fresh lemon. Delicious! 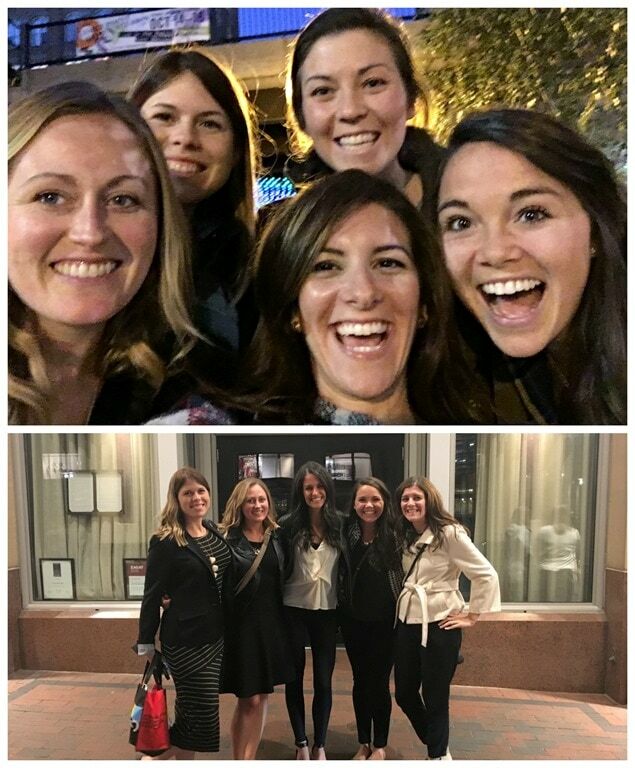 After the reception, I headed across town where a small group of RDs were treated to a wonderful dinner at Lucca Back Bay courtesy of KIND Snacks. On Sunday, I spent most of the day in the FNCE expo! 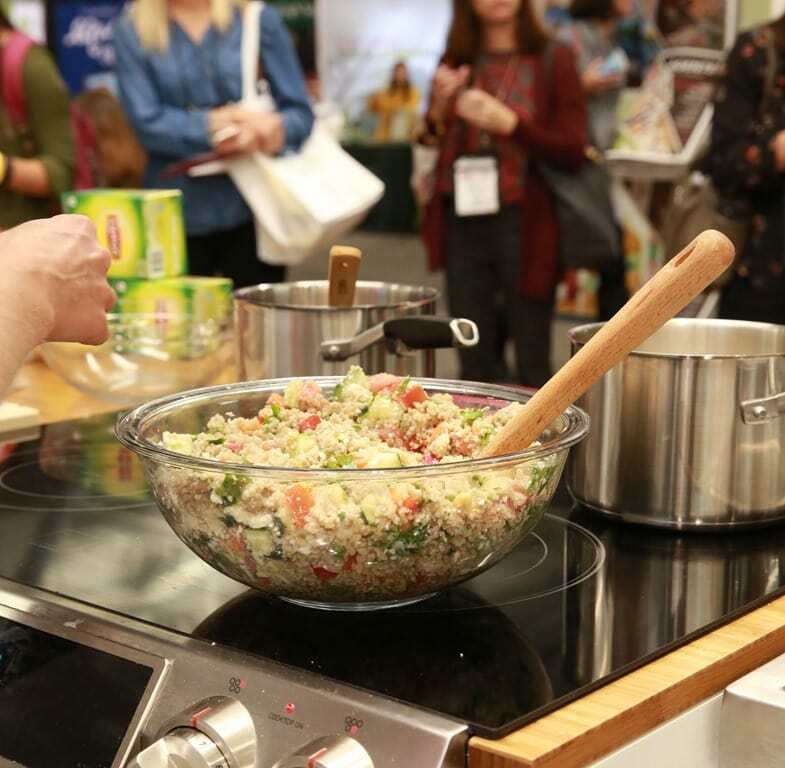 In addition to educational sessions, FNCE also has a large expo hall where brands exhibit, sharing samples and providing information about their products. It’s always fun to see old favorites there, and to learn about cool new brands, too! I had a bunch of meetings throughout the day and also attended a fun cooking demo lunch hosted by my friends at McCormick. 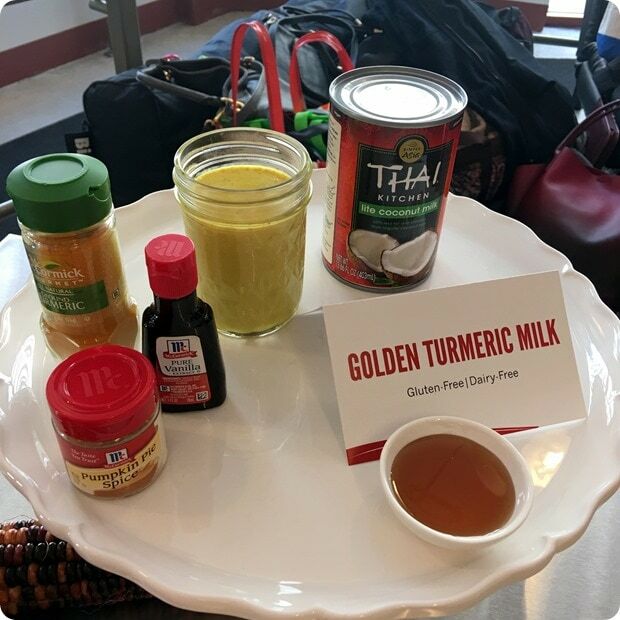 The golden turmeric milk they demo-ed was so delicious – must recreate this at home! Also, I learned that black pepper will enhance the potency of turmeric, nutrition-wise – very cool! I see some black pepper/turmeric recipes in my future. :) I also had fun catching up with my friend Kara at the event! Sunday evening was spent popping around between receptions! I had fun hanging out with Meme, Rachael, and Tara at the cocktail party hosted by the Food and Nutrition Magazine (LOVE that magazine)! 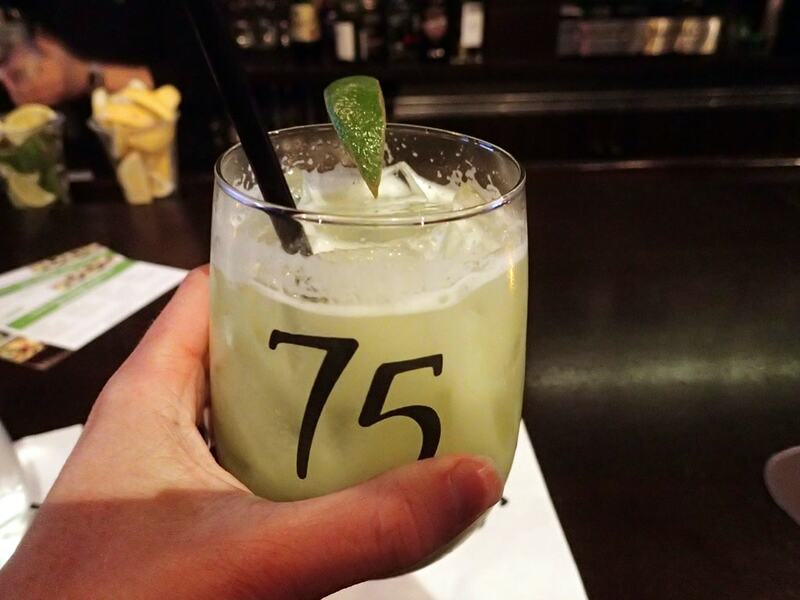 From there, we enjoyed some cocktails with the Avocado Board – this margarita actually had avocado and cilantro pureed into it – SO delicious! Don’t worry, we did have some actual food on Sunday night – there were appetizers at all the parties and a big group of us walked to nearby Legal Harborside for dinner after the events for a proper meal. 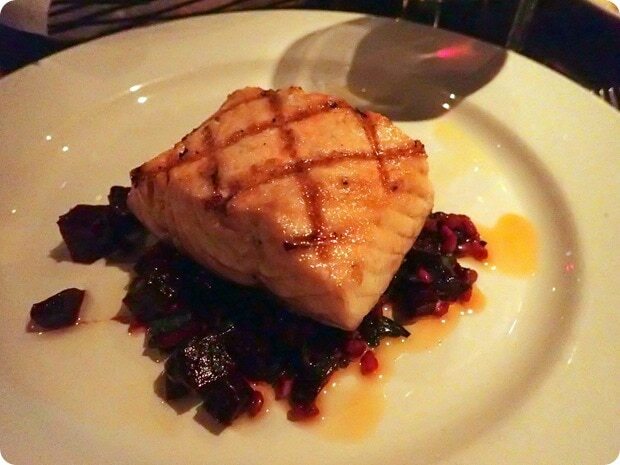 I forgot to snag a photo but I had a crab cake – yum! Monday kicked off at 7 a.m. with a delicious breakfast courtesy of Kura (love their grass-fed protein powder (affiliate link) – great nutrient profile and actually tastes good) and co-hosted by my RD friend Carlene. We had smoothies and a fun egg and veggie scramble! I was kind of full from the night before still and mostly just thirsty so I was really excited about the smoothies. Hit the spot! 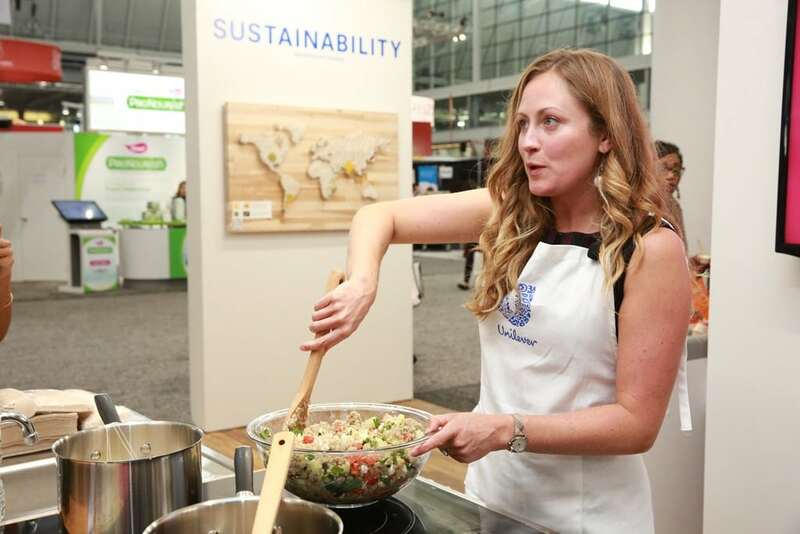 As you know, the quinoa in the recipe is cooked with some Lipton Pure Green Tea bags in the pot with it, and there’s also brewed green tea in the salad dressing (olive oil + lemon juice + green tea in equal parts – try it for your next salad!). 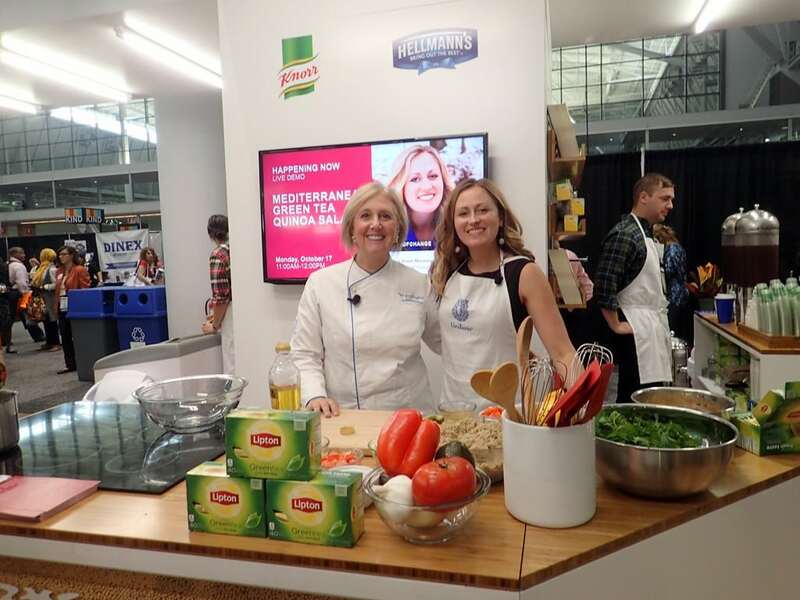 Attendees got to sample this dish paired with some Lipton® Cold Brew unsweetened iced tea – a personal fave of mine because it makes it easy to make your own iced black tea at home. 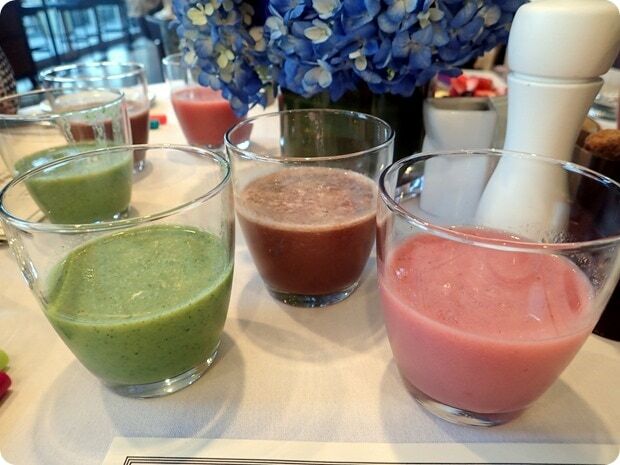 Hydrating and delicious! 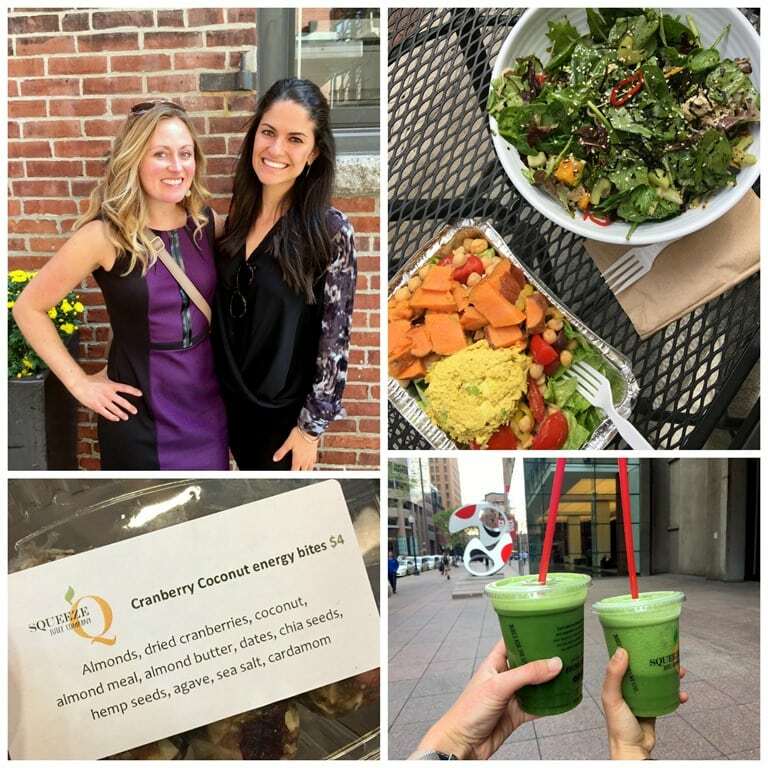 After the demo, I finished off my FNCE trip by grabbing lunch and exploring the city a bit with Alexis, who was one of my roomies for the weekend. Such an action packed weekend! 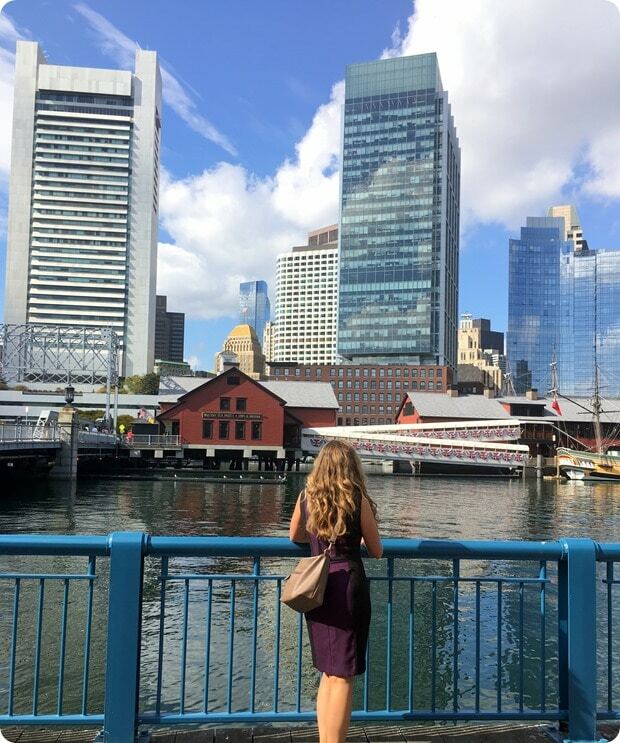 As always, I left FNCE feeling completely exhausted but also inspired and wonderfully nourished by all the time spent with so many passionate, smart, and motivated fellow RDs. I miss them all already. 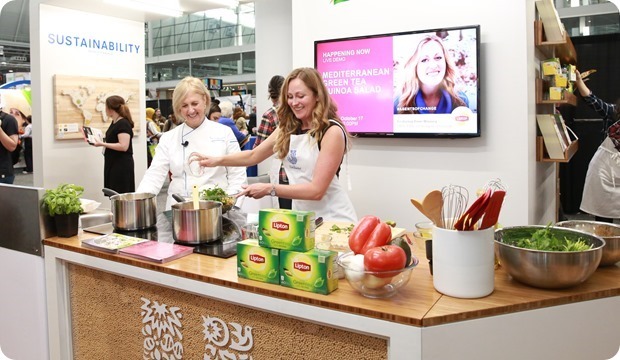 Until next time, FNCE! How fun! You all look beautiful! Sounds like your FNCE was action packed- Sad I didn’t run into you even though we were at some of the same events! PS love that purple dress! I know, bummer! 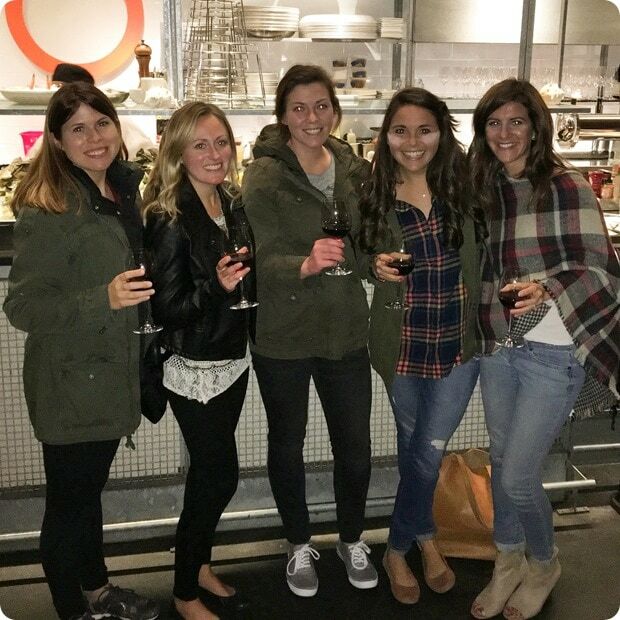 Hope you had a great FNCE too! 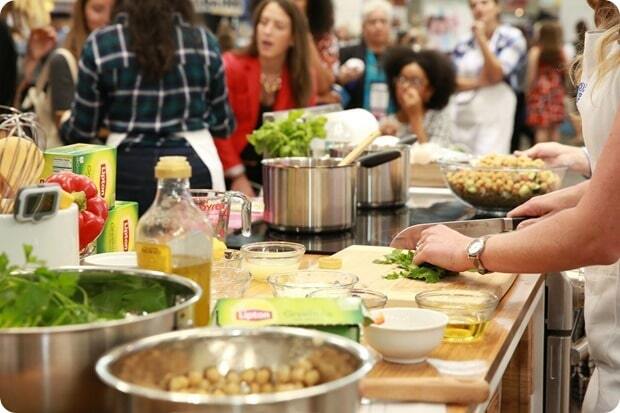 I loved attending FNCE for the first time last year, and your visit looks like it was incredible!! I wish I could’ve been present for your demo. Congrats on a great presentation, and I appreciated your recap! Hi Anne!!! It was so great to meet you too :) I’m so happy you had so much fun in Boston!! Thank you so much for helping to promote our talk!! It was awesome. Rebecca, Julie and I are all about spreading the word on ED treatment so if any dietitians out there want our slides and handout with resources just let me know. We’re putting together a follow-up email now for everyone that was there or just interested in ED. You can also get the slides and handout on the FNCE page but I think you have to sign in (which means you have to have a registration). The recording will also be available in a few weeks. Thank you so much again!!! Appreciate it so much. It was great meeting you, Anne! :) and the salad was so good! I actually also went to Flour thaat morning! I got a few scones to bring home with me (because they’re so famous ;) ) but actually ate at The Friendly Toast- amazzing (blueberry!) pancakes, so fluffy! 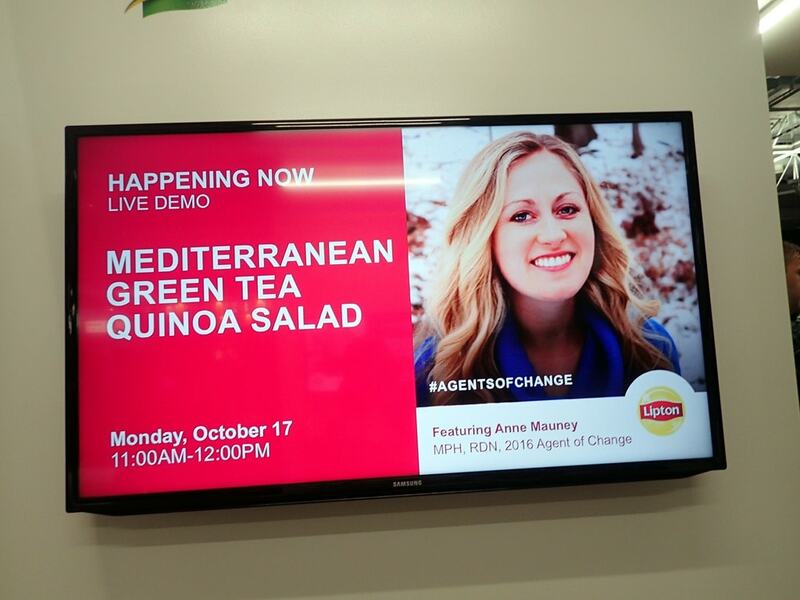 Congrats again on being an Agent of Change- you’re doing amazing work! Thanks so much! Great meeting you too! :) I wish I’d gotten a scone – I love scones. It was a MADHOUSE when we were at Flour and we were like omg let’s order and get the hell out of here ASAP. Hit the lunchtime crush! It was SO great to catch up with you! You were a rockstar during your cooking demo! Happy I was able to see it in action! Looks like a super event! Impressively done…. This was my first FNCE and I was totally overwhelmed! I wish I could have seen your demo!! Yeah, it’s such a busy weekend!! Oh my goodness. I went to FNCE in 2002 during my senior year of college (our entire dietetics department went, which was like 10 people. Haha). I have the greatest memories of that conference! 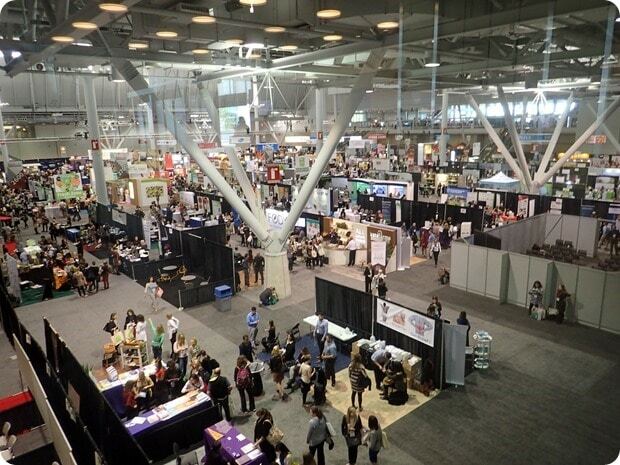 We were poor college students and we lived, quite literally, on the sample foods in the expo hall so that we wouldn’t have to buy breakfast or lunch!